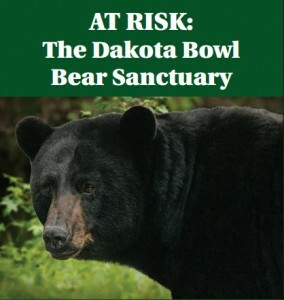 Join Us For a Live Music Show in the Woods this Saturday, October 5th with the band ‘B.E.A.R.’ – a dynamic duo who is helping ELF protect the bears who make their home in ‘The Dakota Bowl Bear Sanctuary’. Meet along the B & K Rd at the power lines at 10:00AM. B & K intersects with Hwy 101 just east of Cliff Gilker Park. Dress for the weather, bring food, no dogs. Return by 2PM. Check out BEAR’s web site and listen to their earth-driven beats. See you soon. Xwu‘p’a’lich (Barb Higgins), Shishalh Elder, Hereditary Chief and Rememberer of the Shishalh Nation has met with Thilo and Tim of B.E.A.R., will attend and has blessed this forest concert that lies on traditional Shishalh Nation lands. The Dakota Bowl Bear Sanctuary are local forests that are threatened by BC Timber Sales – an arm of the government that wants to put these forests up for sale to be clear cut logged (Cutblocks DK042, DK043, D044). The band ‘B.E.A.R.’ (BACK. to EARTH. ADVENTURES. and RE-CREATION) and its leaders Thilo and Tim are very much aligned with the issues of protecting our habitat, protection of bears and our forests…. i) Here is one video about stopping the trophy bear hunts in the province that was put together by by BC’s Coastal First Nations, where they (The band ‘B.E.A.R.’ ) provide the sound track. ii) here is a video of their successful efforts protecting a forest in Langley, BC. This garnered international exposure and brought in celebrities like Robert Bateman etc.